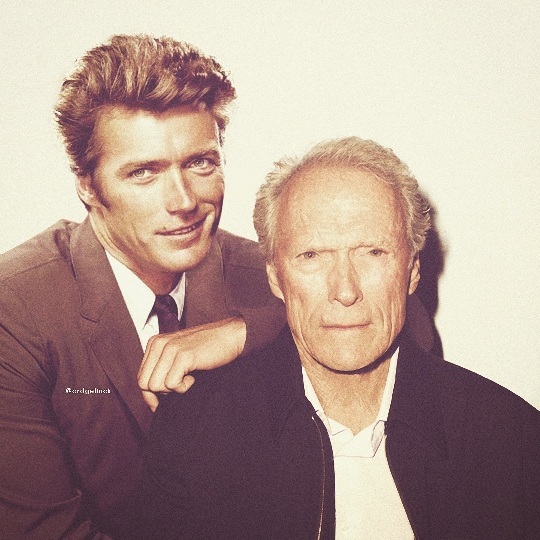 Dashing young hunk (Man with No Name) to grumpy old man (Gran Torino) in an astonish career of over six decades! Clint Eastwood is without a doubt one of the enduring cultural icons of masculinity, built largely from his role as the Man with No Name in the trilogy of Spaghetti Westewrn films A Fistful of Dollars (1964), For a Few Dollars More (1965) and The Good, the Bad and the Ugly (1966). He later found success as respected director. A true Hollywood legend if ever there was one!